One of the most attractive things about lunch parties is that they are less expensive and also easier to arrange. The invitees will not have to change their weekend evening plans for the party and this will be a big convenience to them. 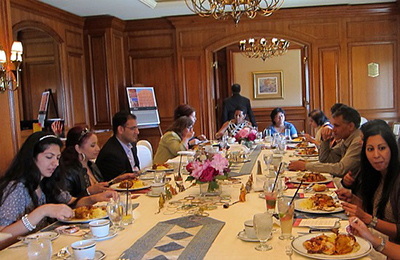 Lunch parties in India are usually organized for office get together sessions for the employees. Though such office luncheon parties are put up for fun, there is a lot of party planning that you will need to do beforehand. Think of a theme for the party: You need a theme for the party, as this would make it even more fun. A beach themed or investigation themed party would work great. Send the invitations in advance: You have to be well prepared for the party and send out the invitations at least 2 weeks before the party. This way, your guests will have enough time to plan and get ready for the event. Use online invitation tool Yoovite.Com to send out your invites. Choose a template and enter the important details like venue, date and time of the party and send them out to all the guests you choose from your Gmail address book. The tool has a very effective and easy RSVP option for the invitees to confirm if they will be attending the party. Additional features like asking for food preferences to the guests is also possible with Yoovite. Invitation has become so easy with this. Decide the budget for the party: After you get an idea of the number of guests attending the party, you have to start planning budget for the party. Choose a decent party hall that does not cost you beyond you budget and make sure you arrange enough food for the party. Tip: Organizing a potluck lunch where every guest brings some dish for the lunch would be a great idea to cut costs for lunch parties. 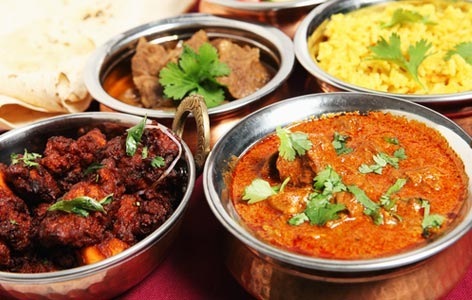 Plan food for the lunch party: You have to plan the food such that it accommodates the tastes of all your guests, Remember to arrange something good for the vegetarians as well. Arrange a proper lunch with appetizers, salads, main course and desserts. Since you will be organizing a variety of food, it is best to host it as a buffet. Choose the right beverages for the party: Alcohol may or may not be included in the lunch party. It mainly depends on the budget for the party. If you are running on a tight budget, it is best to leave out alcohol. Another point is that if you are hosting an office lunch party, leave out serving alcohol for the party. Water, iced tea and soda are also good beverage choices. Decorate the party venue: You must choose decorations that fit your theme. For a beach themed party, it would be nice to serve ice in sand pails and use sea shells for decorations. Arrange entertainment for guests. You need not organize costly entertainment options like a disco jockey for the party. Some good outdoor games would work well for a beach themed party. Contemporary dancing would be a great option if you are planning the party in a hall. If kids are included for the party, make sure you organize some kid friendly events for the party.